Bulimia nervosa, more commonly referred to as bulimia, is a serious and potentially life-threatening eating disorder. Professional treatment is often necessary to overcome the disorder. Those with bulimia may receive a combination of therapeutic approaches, such as psychotherapy (individual or group counseling), family therapy, nutrition counseling, and medication. Any of these approaches can be provided in an inpatient or outpatient recovery center. Several different types of bulimia treatment programs are available. The right type of rehab depends on the severity of the disorder, whether the person has any medical or psychiatric conditions, the location of the program, and how much it costs. However, it is also possible to relapse, especially when the underlying causes of bulimia, such as depression, anxiety, and substance abuse are not treated. A multidisciplinary approach is the most recommended form of treatment for bulimia. This approach typically includes a doctor, a nutritionist, and a mental health therapist working together. Those with more severe or long-term struggles with bulimia, as well as those with comorbid psychiatric disorders, may benefit from the additional support and supervision provided in a residential, inpatient recovery program. Upon completion of an inpatient bulimia rehab program, people will often continue their recovery through ongoing outpatient treatment approaches (such as regularly scheduled psychotherapy sessions or support group attendance) to help with any lingering symptoms and prevent relapse. Without additional therapy or follow-up, some people relapse once they return to their community and old relationships. Those who are suffering from severe malnutrition and dehydration in association with their eating disorder might first need a period of hospitalization to stabilize their condition. A hospital treatment setting can treat health issues such as abnormal heart rate or blood pressure, inability to regulate temperature, electrolyte imbalance, and malnutrition. 4 A doctor will help you decide the most appropriate treatment for your health needs. If you’d like to learn more about inpatient treatment centers or other recovery options, call . Outpatient rehab centers typically offer psychotherapy (either individual or group), nutrition counseling, family therapy, support groups, and/or medication. They are part-time programs in which you attend a treatment center according to a set schedule. These programs are often best for people who do not have severe symptoms or medical complications and have a good support system. The right type of outpatient recovery program will vary based on symptoms, needs, and goals. Your healthcare provider can help you navigate the options and help you to decide which one is the best for you. Luxury and executive treatment facilities for bulimia and other eating disorders are similar to other residential treatment programs. The person lives at the facility, and there is 24/7 medical supervision and support. However, these facilities provide extra amenities and features for working professionals. Some facilities offer spas, yoga, or horseback riding. These programs are much more expensive than others and not always covered by insurance. The below list includes possible therapeutic approaches that your healthcare provider may recommend. Therapy can be done in a variety of settings, including residential bulimia rehab centers or outpatient therapeutic care and support. 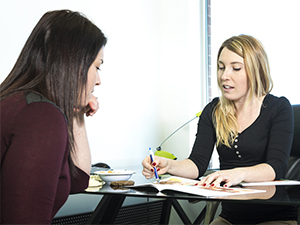 Dialectical behavioral therapy (DBT) – DBT is a comprehensive, evidence-based therapeutic approach that focuses on multiple diagnoses and has been effective for those with eating disorders and comorbid illnesses. 4 The goal is to learn how to tolerate stress and regulate emotions, which can reduce the desire to turn to food to relieve stress. Nutritional counseling or therapy – This form of therapy helps the person with bulimia relearn healthy eating habits and nutritional needs. The provider will often help the person develop specific, realistic nutrition plans. Alternative therapies – Yoga, meditation, and tai chi can help promote a positive body image and help the person learn healthy coping strategies. Other activities such as hobbies and extracurricular activities can also boost self-esteem and encourage healthy lifestyle changes. If you need help finding a bulimia treatment center, contact a recovery support advisor at . Antidepressants, antipsychotics, and/or mood stabilizers can help treat both the eating disorder and any co-occurring mental illnesses, such as anxiety and depression. 6 Medications are usually combined with some form of therapy. Similar to the 12-step programs developed by Alcoholics Anonymous (AA), these groups allow people to share their stories and experiences of recovery to help others. 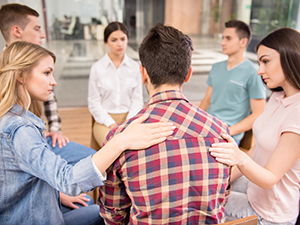 Some people use these groups as their primary form of treatment, while others use them as a form of follow-up care after completing an inpatient treatment program. Some groups have a relatively spiritual outlook on addiction recovery. However, there are rarely any formal religious affiliations or requirements for participants to be religious. Many groups will encourage the selection of a program sponsor. Sponsors are recovering individuals with wisdom and experience to share with those newer to the program than they are. Support groups across the country focus on eating disorders, and some specifically focus on bulimia. Check with each group to see if one exists in your area. Eating Disorders Anonymous – This group focuses on all eating disorders. It offers a safe environment for people to share their experiences and help others recover from eating disorders. Overeaters Anonymous – This group provides a program of recovery for those suffering from overeating, including binge eating and bulimia. It helps people stop overeating by using a 12-step approach. Compulsive Eaters Anonymous – This is a fellowship that helps those who are suffering from compulsive eating. It helps people recover through shared experience, strength, and hope. If you or someone you know is suffering from bulimia, please call us today at . You will be connected to a 100% confidential and free helpline with trained, caring advisors who can help guide you through the best treatment options for bulimia available in your area.
. Hay, P. J., & Claudino, A. M. (2010). Bulimia nervosa. BMJ Clinical Evidence, 1009.
. Murphy, R., Straebler, S., Cooper, Z., & Fairburn, C. G. (2010). Cognitive Behavioral Therapy for Eating Disorders. The Psychiatric Clinics of North America, 33(3), 611–627.
. Mitchell, J. E., Agras, S. and Wonderlich, S. (2007), Treatment of bulimia nervosa: Where are we and where are we going? Int. J. Eat. Disord., 40: 95–101.
. Lock, J. and le Grange, D. (2005), Family-based treatment of eating disorders. Int. J. Eat. Disord., 37: S64–S67.
. National Institutes of Mental Health. (2016). Eating Disorders.
. Gorla, K., & Mathews, M. (2005). Pharmacological Treatment of Eating Disorders. Psychiatry (Edgmont), 2(6), 43–48.
. Hoste, R.R., Labuschagne, Z. & Le Grange, D. (2012). Adolescent Bulimia Nervosa. Curr Psychiatry Rep 14: 391.
. Arbaizar, B., Gómez-Acebo, I., & Llorca, J. (2008). Efficacy of topiramate in bulimia nervosa and binge-eating disorder: a systematic review. General hospital psychiatry, 30(5), 471-475.